Not your ordinary summer job! Our lodge is located on the eastern edge of Yellowstone National Park, only 12 miles from the east gate of Yellowstone. Because we are located 39 miles from Cody, Wyoming, all staff must be able to bring their own vehicle for their convenience in traveling to Yellowstone, Cody and the surrounding area. Compensation includes salary, tips and full room and board. Bonuses will be given to those who have completed the agreed upon dates of their contract. We also provide all our staff with free season passes to the Cody Nite Rodeo. If you’d like living and working in a truly magnificent location for the summer, this is the ranch for you. Only a few spots left for the upcoming season. Apply today! Address any qualifications and/or work/life experience that may relate to the job you are applying for. Feel free to tell us about any other hobbies or skills that you have, as sometimes positions may be created for certain skill sets. Do you know of anything physically or otherwise that could prevent you from doing the job or jobs that you are applying for? Do you have any visible tattoos? If yes, please describe. If you were to accept a position with us, would you be able to bring your own vehicle? Please tell us anything else you would like to include about yourself and why you would like to work at our lodge for the summer. I certify the facts noted on this application are true and complete to the best of my knowledge. I understand that any falsified statements on this application, or omission of facts either on this application or during the hiring process, may result in my application being rejected or, if hired, in my employment being terminated. 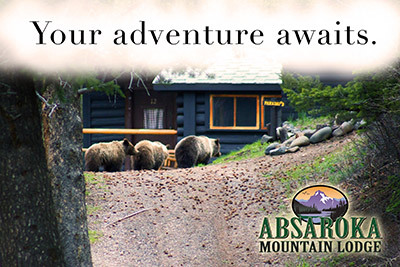 If hired, I will abide by the policies and procedures of Absaroka Mountain Lodge. Submit full name and date for authorization.